We are truly honored to have been at the end of Jeff Lancaster’s epic journey to find his tiny home. Jeff may be the most diligent tiny home researcher we’ve ever encountered. Jeff is from Durango Colorado and is currently working on assignment in Houston for 2 years. The family is excited to move back to Durango in September but not as excited as the grandparents, however, who want to “seal the deal” to be back with their grandkids by offering the family a 10-acre piece of land near Durango. Jeff and his wife looked at Tiny homes but almost decided against them. His friend even has a successful tiny home business in Durango but the price to size ratio wasn’t right for the family (too small for the high prices). Jeff is an industrial equipment salesman and in all his travels he has seen a LOT OF TINY HOMES. He wasn’t seeing what he wanted… until he saw the Lakeview model by Platinum Cottages. Finally, the quality was there. But the prices he saw were still too high. Doggedly determined, he went down the list of every Platinum Cottage dealer searching for the Lakeview with a front porch added as an upgrade. 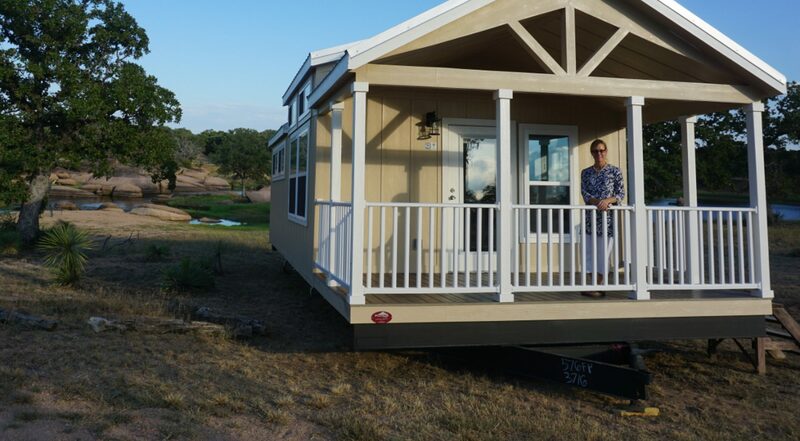 We, at Highland Lakes Tiny Homes, had JUST completed our website, therefore, there was no link with our name on the list of dealers. So Jeff didn’t see us. Did that stop Jeff? NO! 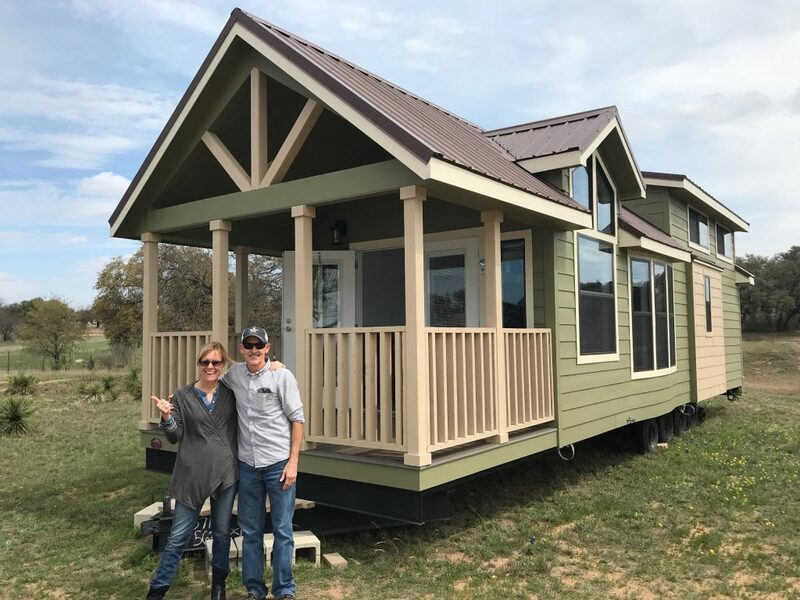 Jeff googled until he finally found his home for the price he wanted from us here at Highland Lakes Tiny Homes.